They Shoot Screenwriters, Don't They? How many screenplays do you have to write before you throw in the towel and delete your screenwriting program from your computer? 17? 12? 3? a)	been rejected (if you’re fortunate enough to have had them read by someone in the industry even if they said no). b)	or if you have a bunch of scripts that haven’t been read by anyone except your significant other and your film buff cousin who thinks “Citizen Kane” is overrated and haven’t come close enough to an agent, manager or producer to get them read let alone rejected. FYI, in the hierarchy of screenwriting, having a script rejected means that you’re at least in the game. Not having it read by even the youngest, newbie working in development means you’re spinning your wheels. Getting that first rejection means you’ve drawn blood. Actually, your blood has been drawn. You’re in the war! Well, game. No, war because with each script you have a new battle and you will shed new blood and tears. Maybe not literally blood, but don’t rule out the tears. If you want to be a screenwriter rejection goes with the territory (as if you’ve never heard that before). I’m just reminding you in case you’re in denial (or if you’re new to this game (let’s just call it a game, it’s less ominous), I want you to learn the ropes quickly. For screenwriters, at least for the hundreds upon hundreds of screenwriters I’ve encountered over the last 20 years, rejection is hardwired into their souls. Rejection followed by discouragement followed by heartbreak followed by despair. BTW, this is not a feel-good article. Actually it’s more of a feel-better piece. Once you’ve been getting your screenplays read for two or three years (which means you’ve probably written 1-4 scripts) you should’ve learned the lay of the land. The Luck Factor. You’re waiting to be lucky and by that I mean you’re in the right place at the right time and you get a chance to pitch an idea OR you meet someone who knows someone and will refer you. I know a screenwriter who got a major agent because his girlfriend babysat for the guy’s child and she pressured the guy’s wife to read her boyfriends script and he did and the agent signed him and he got a deal and has had a very nice career. If you’re at a different level careerwise, i.e., you have an agent or manager (or gone through more than one), your scripts are getting read, you’re taking meetings, you’re getting a little buzz, you maybe even had a deal and actually got some money and the project started moving forward and...then it fell apart (because of nothing you did)…then you’re in a different kind of bad place than the screenwriter who can’t even get material read. You’re in that dark place where you’re losing faith in the system. Maybe 5 years have gone by and despite all your efforts your “career “has stalled and despite all that you’ve learned, you haven’t sold a script and haven’t got one made and you’re starting to let it get to you. Your once cheery optimism is starting to crack and you’re being increasingly skeptical. You joke that you now have a healthy cynicism. Now, instead of expecting to sell your screenplay, you’re more cautious and thinking it probably won’t sell, but you’re still keeping the faith. Skip ahead 5 more years and (assuming you can write one per year) 5 more screenplays. Still nothing, but you’re closer, different agent, classier production companies, a little money, but...no real money and no movies made. You still have your day job. Or maybe you’ve actually crashed through the void and gotten some decent cash and the movie was made which puts you in yet a different category: the screenwriter who had a screenplay made. Skip ahead 5 more years and 5 more screenplays. I know many screenwriters who are enormously talented and have been fighting the good fight for many years. Some have had a smidgeon of success by winning a contest or having a quality producer option their script and take them through rewrites and get meetings and forward movement and rewrites and…well, still no real deal or movie made. And some got their scripts made. It’s been said that pursuing a career as a screenwriter is a marathon race. I agree. In 1969 a film starring Jane Fonda opened called “They Shoot Horses, Don’t They?” about marathon dancers during the Great Depression. Poor kids would compete in dance marathons for a cash prize. A catchphrase from the movie was “How long can they last?” Meaning, how long will the dancing kids last until they drop from exhaustion? Did I mention that they had to “dance” 24 hours a day? Only bathroom breaks. See the movie. It’s amazing. (And needless to say, it probably wouldn’t be made today). Only you know the answer. My feeling is that most screenwriters who’ve been at it a long time without success will quit when they’ve had enough. That could be after only three screenplays. Others stay in it for the long haul hoping for the big break. The thing is this: with each screenplay you’ve written you get better and smarter about what makes a script work. And if you’re paying attention to what’s going on in the industry, i.e., seeing the movies they’re making, paying attention to what they’re buying and what they’re not buying. Simply, just getting smarter about how things work. Maybe you should put on your high concept thinking cap and try to come up with an idea that’s highly commercial rather than diving into that epic you’ve been wanting to write about the Bubonic Plague starring Elle Fanning as Joan of Arc. (I know that Joan of Arc wasn’t around during the Bubonic Plague, but I’m trying to make a point). Here’s the deal: writing screenplays is a tough business, certainly not for the weak of heart. But if you enjoy the creative process of writing screenplays and you feel that each script makes you a better writer, you need to decide if it’s worth your time to keep at it. Maybe you should try writing for television or write a novel. Or maybe you should give up. But don’t unless you have truly had it. The love is gone. The passion is gone. It’s like a relationship that’s become too painful to endure. It’s time to get out. And despite the passage of years and close calls and disillusioning phone calls from producers and deals that almost happened – if you still enjoy writing, stay the course. When you put it in the context of “it’s the journey not the destination,” isn’t being a screenwriter really all about the writing? There are many screenwriters who’ve had their screenplays made and butchered. They’re less happy and as frustrated as you for entirely different reasons. Keep writing. Don’t let the system shoot you! D.B. 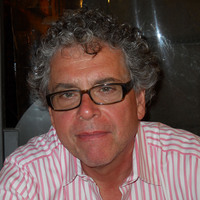 Gilles teaches screenwriting and comedy writing at New York University’s Tisch School of the Arts. He is the author of The Screenwriter Within and The Portable Film School. He is co-author of the George Bush parody W. The First Hundred Days. A White House Journal. He also wrote the play, Sparkling Object. D.B. is a script consultant and writing coach. Many of his students have gotten deals, sold scripts, had their work published and their TV scripts, sketches and screenplays produced.